Lean IT Leadership builds on the basic knowledge acquired through the Lean IT Foundation. 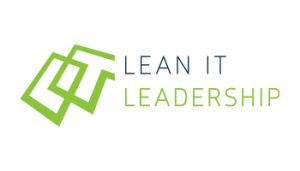 Lean IT Leadership focuses on ensuring that people fulfilling a leadership role within a Lean IT organization know what they need to do to help to develop it to a Lean IT organization. The role may be carried out in a formal or informal capacity. People following the Lean IT Leadership curriculum can benefit substantially from first understanding the Lean IT Kaizen role. One of the core tasks of Lean IT Leadership is driving and teaching continuous improvement, and the tools for this task are discussed in detail in the Lean IT Kaizen.